I can't go past a bargain. My local wool shop Twisted Threads had a sale and in one of the baskets was this pile of terracootta wool. Enough to make a lap rug. 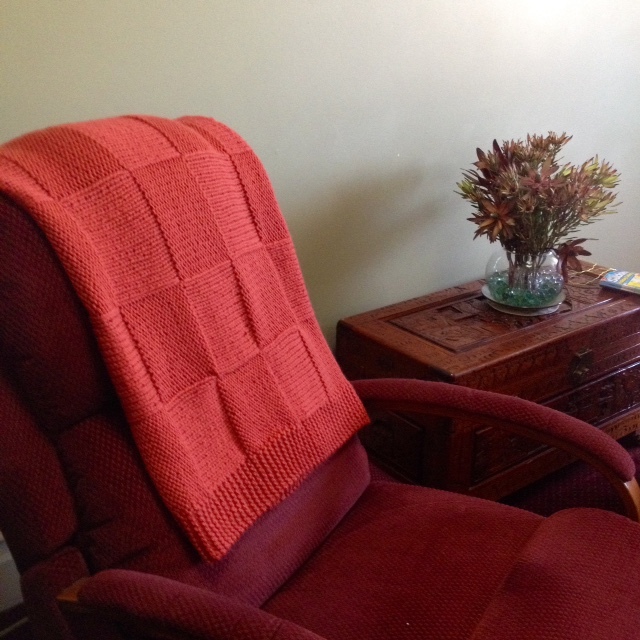 It is basically the same as this one and as it was made with 12 ply it was even quicker to knit up. 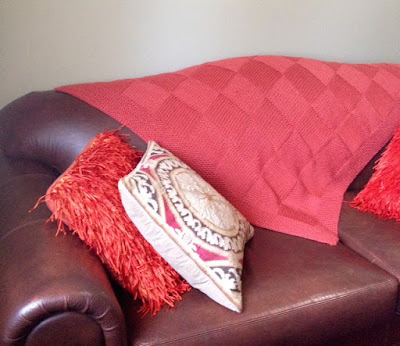 and fits nicely across the back of my recliner so perhaps I will use it a snuggle quilt. As you can see I usually sit in the recliner and knit, I hope 'Fatty' will be able to cope with a different lap rug. 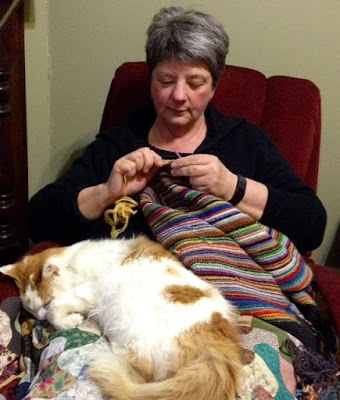 although he has sat on my lap every night whilst it has been knitted, he is very patient and manages to nap his way through all the crafts that are undertaken in the chair.